In most duels, players race to summon their strongest titans and launch an all-out assault to deplete their opponent's precious life points. While that's certainly one way to win, many duelists overlook effect damage strategies, which aim to extinguish life points using indirect damage. The great thing about such tactics are that (unlike with battle damage), you can circumvent having to get through your foe's army before directly attacking them, and because effect damage is much less common, most opponents don't prepare countermeasures against it. 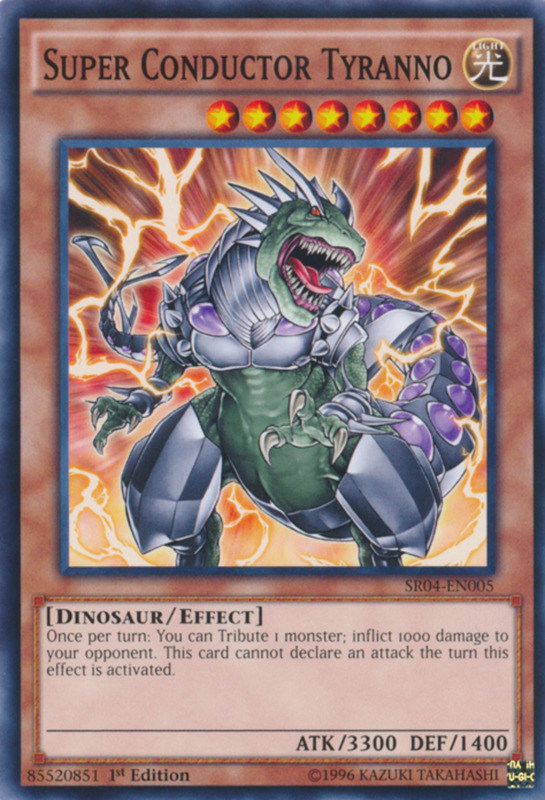 To see just how effective (no pun intended) such builds can be, let's countdown and review the top ten effect damage monsters in the Yu-Gi-Oh trading card game! 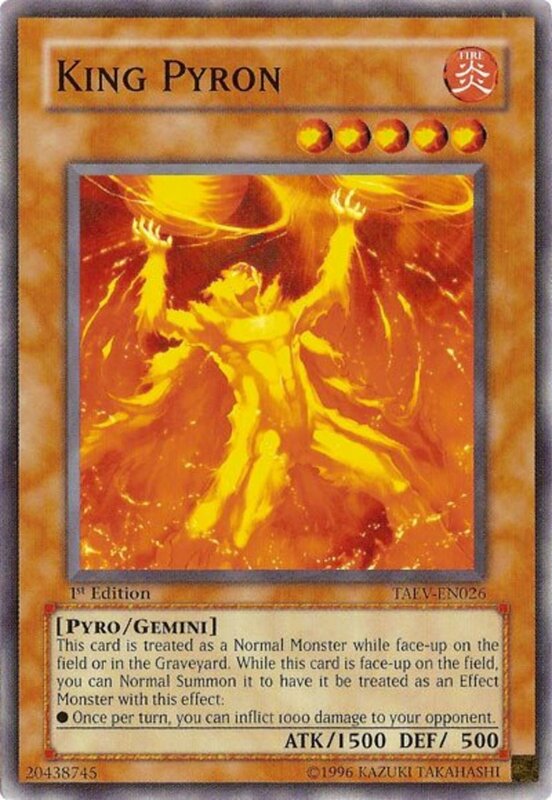 A rare gemini card, King Pyron begins as a normal monster but can be normal summoned once already fielded to morph into a potent effect monster wielding an explosive ability: once per turn, you can inflict 1000 damage to your opponent. This speaks for itself, repeatedly slamming your adversary with a heap of damage. Pyron's downsides are rather low ATK and his level 5, meaning he has to be normal summoned with a tribute. Thus, be sure to employ defensive measures to keep Pyron alive and use special summons to gimmick him onto the field without having to sacrifice a unit. 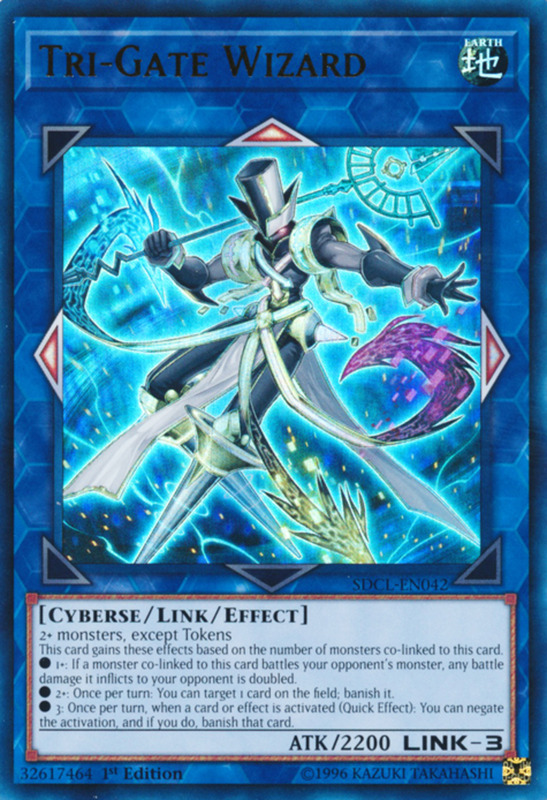 Thankfully, his fluctuating normal/effect monster status qualifies him for a variety of card recoveries. Like many fairy-type monsters, Athena's abilities work best in an all-fairy ensemble. As a level 7 creature, she needs two tributes if normal summoned, but pendulum summons and other tricks can help her arrive without much hassle. Her DEF is low, so keep her in attack position to make the most of her potent ATK and two great abilities. 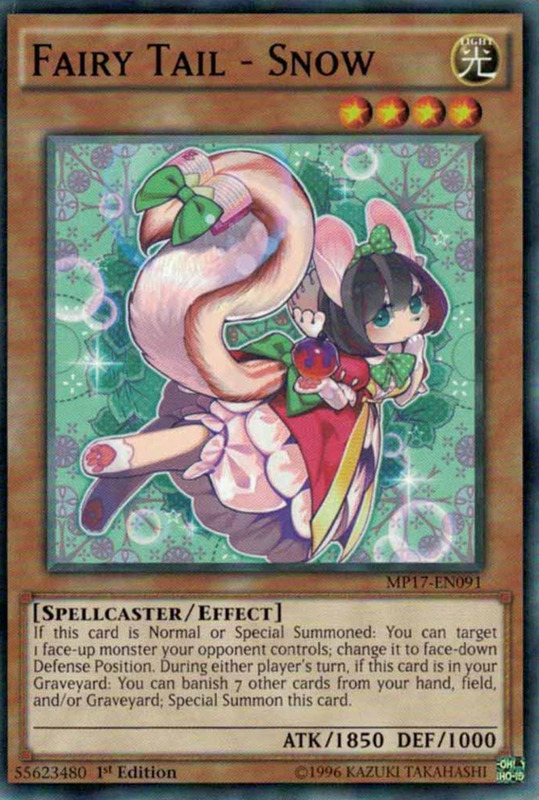 First, whenever another fairy monster is summoned (even your opponent's), you inflict 600 damage to your opponent. 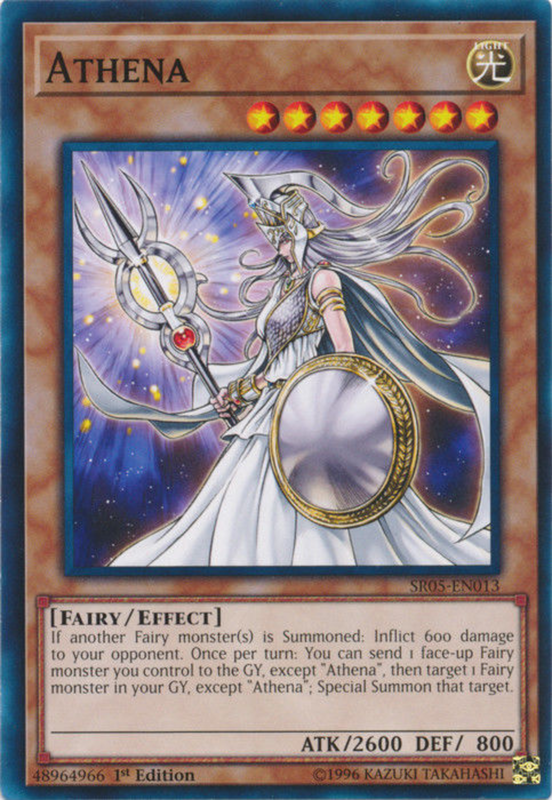 This combos great with Athena's next ability, which allows you to (once per turn) send another non-Athena fairy monster you control to the graveyard, then special summon any non-Athena fairy from the graveyard (including the one just sent there). This lets you trade weaker creatures for stronger ones while triggering Athena's effect damage. Wow. With its reusable effect damage (able to net an impressive 1200 damage per turn under normal conditions) and ability to attack directly, Chacu excels in both battle and effect damage, and it even possesses a great stall tactic while in defense position. Definitely a handy card. Sometimes simple cards work best. Or ones with annoying alliterations, anyway. 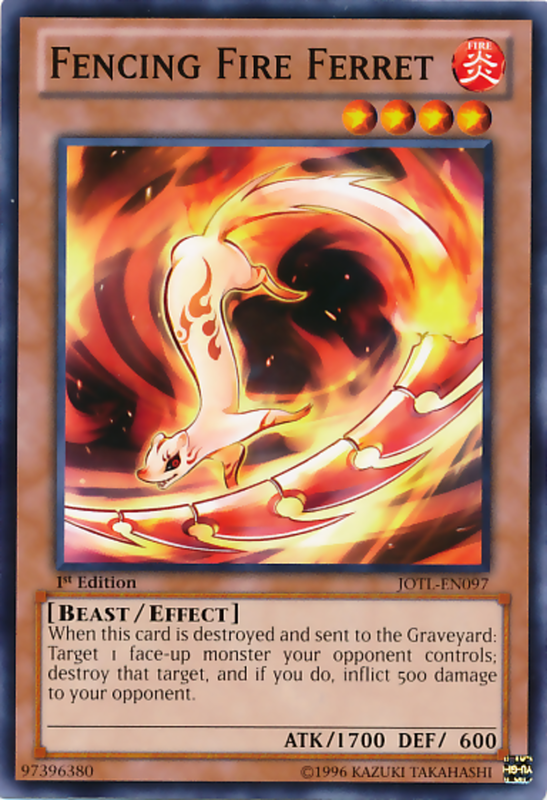 Beast-type Fencing Fire Ferret wields decent ATK for its level and requires no tributes, but really delights with its great effect: when this card is destroyed (whether through battle or effect) and sent to the graveyard, you target and destroy an opposing monster and inflict 500 damage to your opponent. This superbly chips away at their health while slowing their assault thanks to the monster elimination. As icing on the cake, Fire Ferret possesses the fire attribute (shocker), which helps it fit in with decks utilizing the element most-geared towards effect damage. 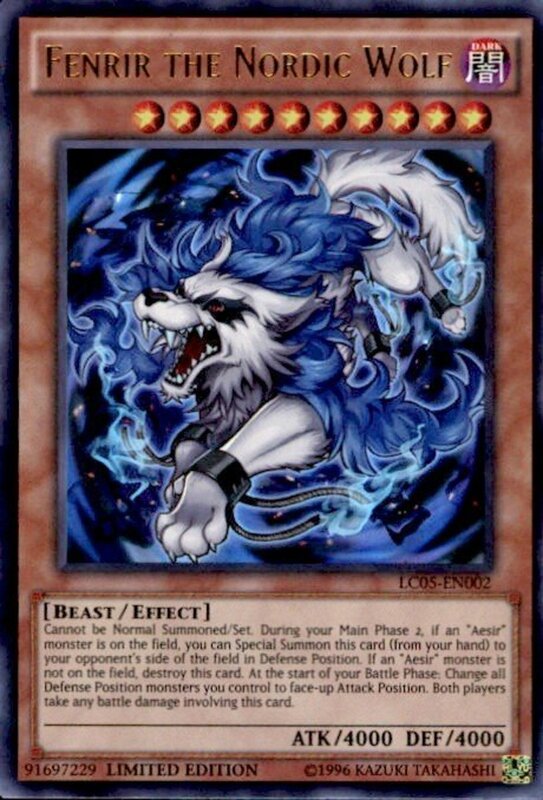 As a white-backgrounded synchro monster, you summon Blood Mefist from your extra deck using a tuner monster alongside one or more non-tuner materials. Unlike several synchro cards, Blood Mefist accepts any and all tuner/non-tuner combinations, blending it well into any synchro deck. In addition to its tantalizing 2800 ATK, Blood Mefist grants two effect damage abilities. First, during each of your opponent's standby phases (the start of their turns), you inflict 300 damage to them for each card they control—monsters, spells, and traps! Second, whenever they set a spell/trap, you inflict 300 more damage to them. Blood Mefist captivated me with just its easy summoning, strong ATK, and amazing first effect; adding in the second ability really cements it as one of the top effect damage cards. 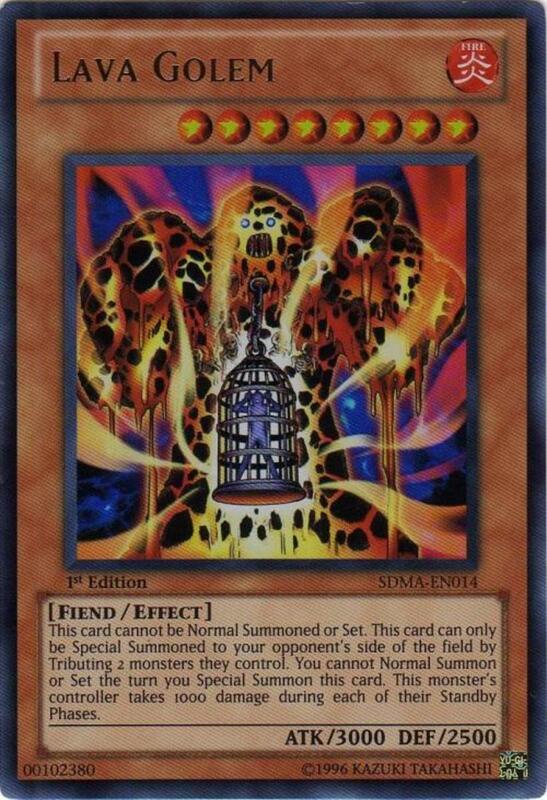 Used to great effect (I'll stop) by the villainous Marik Ishtar against Joey Wheeler in the original Yu-Gi-Oh anime, Lava Golem is one of very few monsters that you summon to your opponent's field. To do so, you tribute two monsters they control, which means Lava Golem doubles superbly as twin monster removal. Now, Lava Golem perfectly mimics Blue-Eyes White Dragon's battle stats, an undesirable trait considering it'll arrive under your opponent's control, but power comes with a hefty price: its controller suffers 1000 damage at each of their standby phases. If your opponent can't tribute it or use it as material, they'll soon find themselves drained of life. 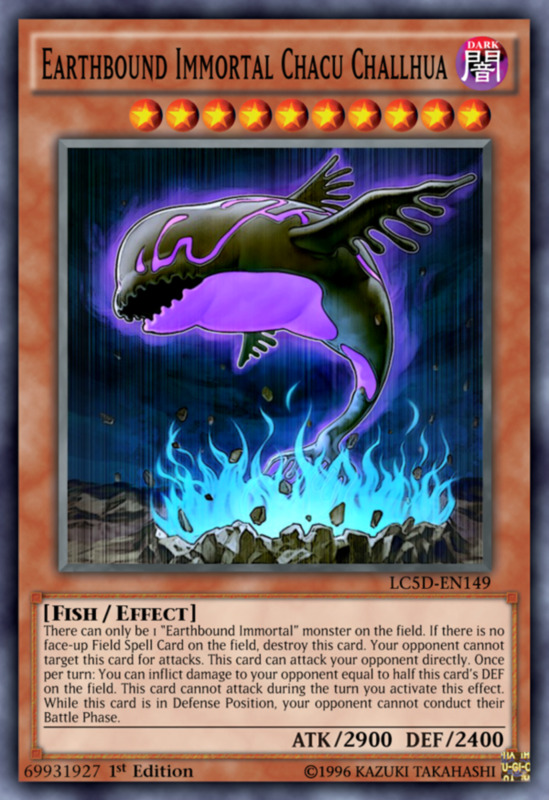 A great card, but keep in mind you cannot normal summon or set during the turn where you field Lava Golem, so stock some special summon surprises in store. 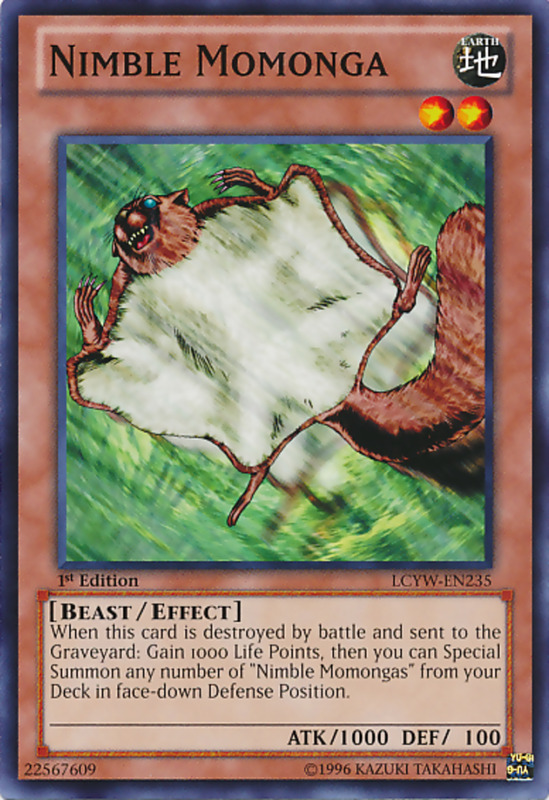 A rare card whose effect activates while face-down, Blast Sphere triggers when attacked while in face-down defense position. 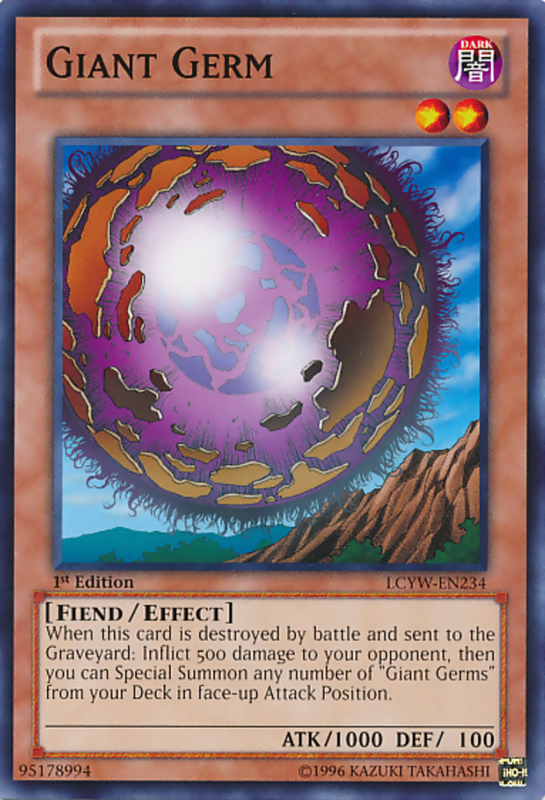 At that time, damage calculation halts (essentially negating your opponent's attack), and Blast Sphere is equipped to the attacking monster just like an equip spell would be. During your opponent's next standby phase, if the equipped monster and Blast Sphere are both still present, Blast Sphere destroys the monster and inflicts damage to your opponent equal to that monster's ATK. 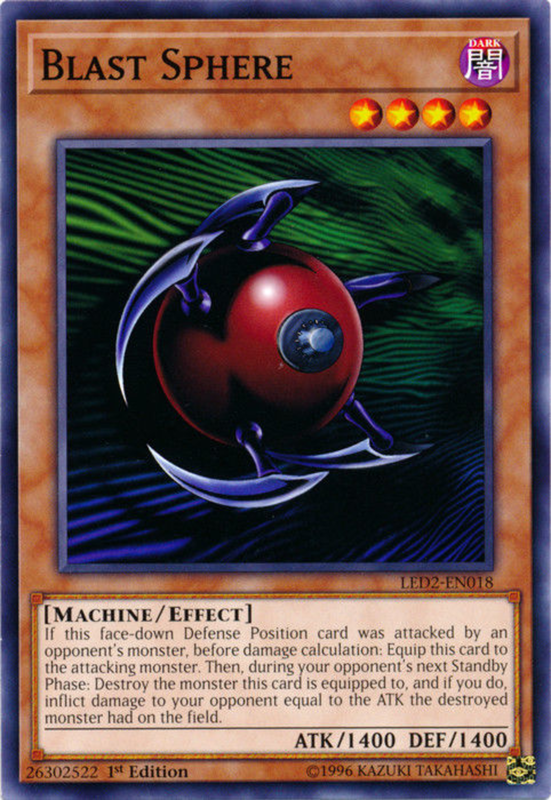 You admittedly take a gamble when playing Blast Sphere, as your opponent might be able to remove it by tributing or fusing the attached monster during their second main phase. That said, since most summoning happens in the first main phase, it's a light risk that offers high reward and serves as a formidable effect damage/monster removal alternative to Fencing Fire Ferret. Like our rapier-wielding ferret friend, Fire Trooper also bears the fire attribute (double shocker) and a simple trait: when he's summoned, you can send him to the graveyard to inflict 1000 damage to your opponent. Remember, since Trooper is only level 3, he needs no tributes to normal summon. 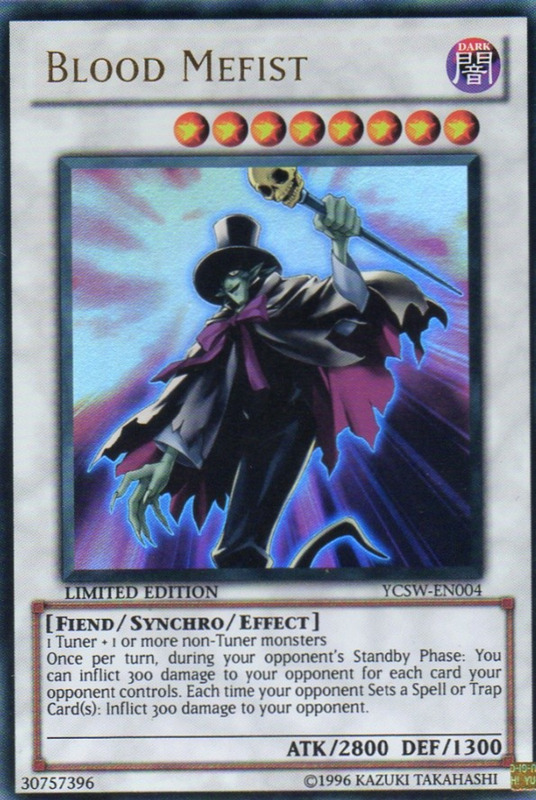 Even better, his effect activates regardless of how the card appears (normal summon, special summon, flip summon, graveyard-revived, etc. ), allowing you to repeatedly revive your defeated Trooper and activate his effect numerous times. Since he bears no annoying once-per-turn limitation, you're also free to combo his damage multiple instances in the same turn! 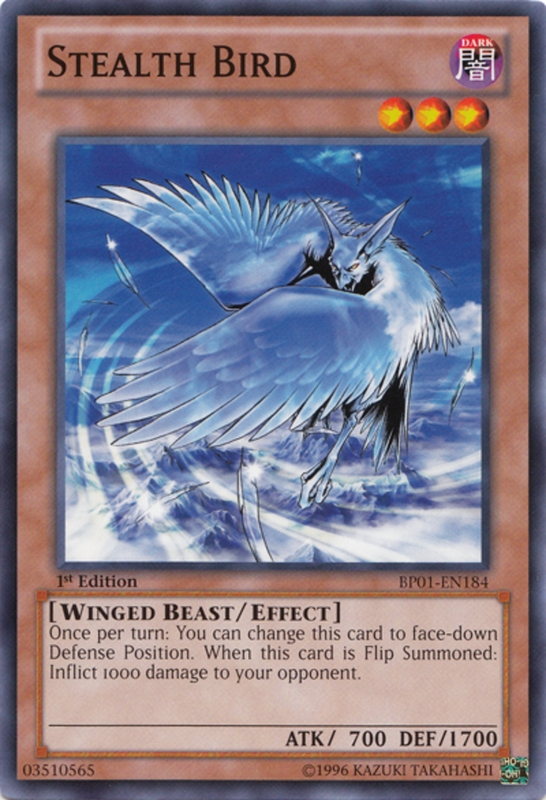 With decent DEF, Stealth Bird can tank low-level monster attacks, but you'll likely want to employ other protective measures (Mirror Force, anyone?) to keep it around. You see, when the card is flip summoned, you inflict 1000 damage to your opponent. Plus, once per turn, you can change it to face-down defense position, setting yourself up to use the effect again on your next turn! Just be careful, as the text states the effect activates when specifically flip summoned, meaning you have to do it yourself; it won't trigger when your opponent flips the bird (poor choice of words) by attacking it face-down. The damage-inflicting counterpart of life-regaining Nimble Momonga, Giant Germ is best used when concealed in face-down defense position. You see, when destroyed by battle (and only battle), you both inflict 500 damage to your opponent and can summon any number of Giant Germs from your deck in face-up attack position! Since you can place three of the same non-ban list monsters in your deck, this means you'll net a total of 1500 damage through Giant Germ while blocking three attacks. Because effect damage decks focus on bombarding through opposing creatures, they tend to be comparatively weak in term of monster offense, meaning any stall cards are more than welcome. To that end, Giant Germ provides both reliable effect damage as well as three meat shields to buy time and ensure you last long enough to wipe out your foe's life points. With dozens of effect-damaging monsters to choose from, always keep your eyes peeled for the next potent siege engine to help you win matches in unexpected ways with the best effect deck. By employing the right blend of defense and indirect damagers, your opponent will despair as you drain their life points while they stumble helplessly, unable to attack or counter. Still, effect damage doesn't have to end with monsters. 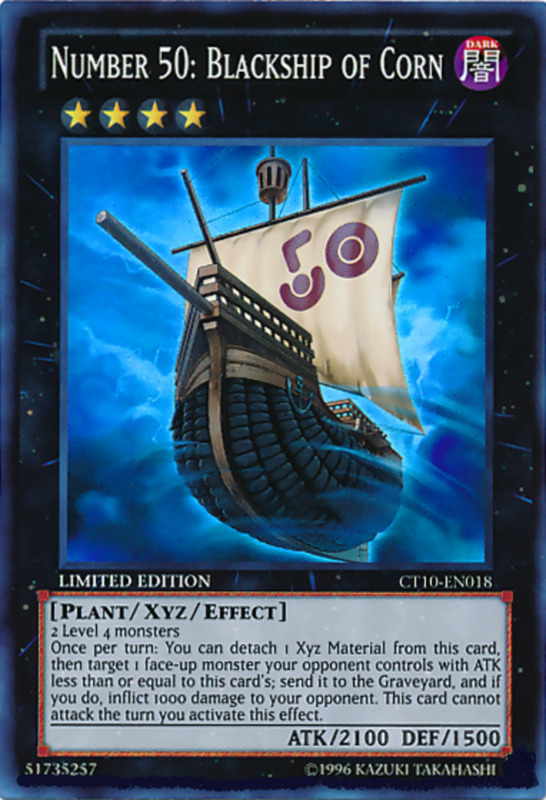 Check out some awesome spells and traps to help batter your opponent here, but first, vote for your favorite entry, and I'll see you at our next Yu-Gi-Oh countdown! Good suggestion. Alsahm may very well appear if I ever make a follow-up countdown, especially since its 1000 damage triggers with every summon type (normal, flip, and special) and doesn't rely on being in the Satellarknight archetype. Fairy Archer is a good effect damage card, you're right. 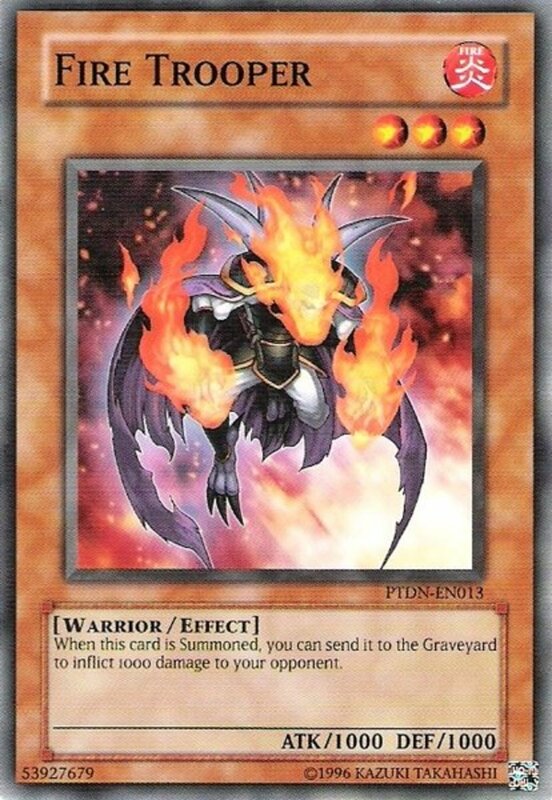 However, it can't attack during the turn that it activates its effect, and unlike Fire Trooper, it's very reliant on having other monsters fielded. Fire Trooper can work fine alone, and qualifies for effect damage decks of any attribute; Archer really only functions in light builds. Plus, 1000 damage can really pile up if you enable a way to revive Trooper from the graveyard consistently. What is your opinion on Masked Knight Level 7 from the Yu-Gi-Oh video game? For those who don't know, the Masked Knights are (as of this writing) only available in certain video games. Masked Knight LV7's inability to be summoned other than with Masked Knight LV5 dampens its abilities, but it's hard to beat once-per-turn 1500 damage, especially in a stall deck. It is definitely a potent card. Definitely, if I ever make another countdown like this, you might see some of those cards on it. In fact, when I make a countdown, I often include a hidden section with ideas for followup lists, and some of those entries are there. Also would Marshmallon, Metaion the time lord, Lazion the time lord and Superdreadnought Rail Cannon Gustav Max count in this list? Nice article, man. Yes I used to remember a few of these cards, they were pretty handy, like blast sphere and lava golem.